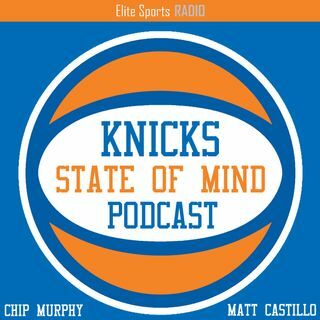 In this episode of the Knicks State of Mind Podcast, Chip and Matt are joined by Elite Sports NY writer Collin Loring. The three take a look at the way the Eastern Conference is shaping up. Loring also wanted some time to gloat on how he was on the Toronto Raptors, while Chip and Matt weren't. In the second segment, the three discuss should the Knicks commit to Porzingis for 157 million dollars. Finally, the show wraps up on Trey Burke. Has his play earned him a roster spot with the ... See More Knicks long term?